Free printable banner letters that can be customized online and printed at home. Two sizes available. Free printable alphabet letters for banners with one letter per page. 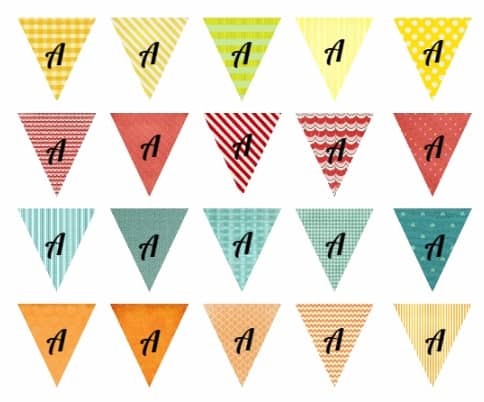 Either create all letters in the same color or mix and match to create a more colorful banner. 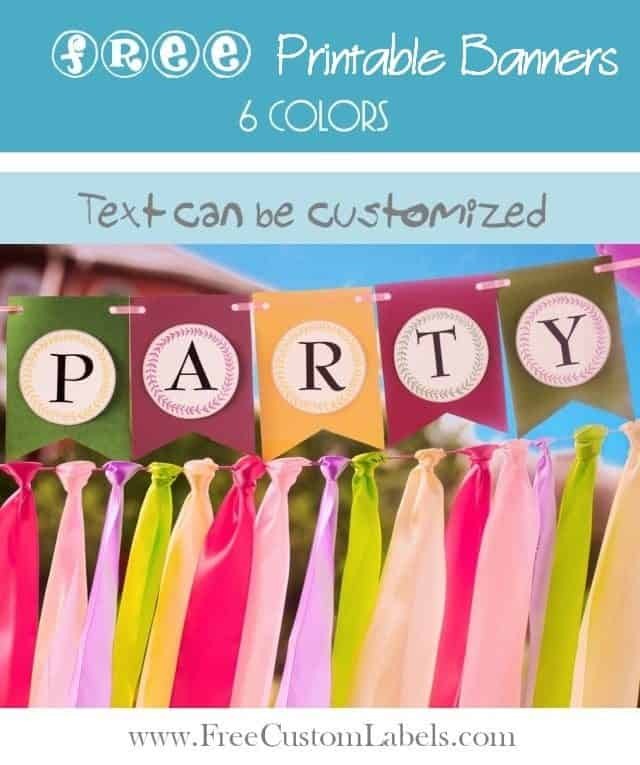 If you are creating the banner for a party or wedding with a specific color scheme then you will probably want to use those colors only. We have more designs available on this site. If you want to hang your banner outside and are expecting rain then you might want to laminate each letter so that it lasts longer. 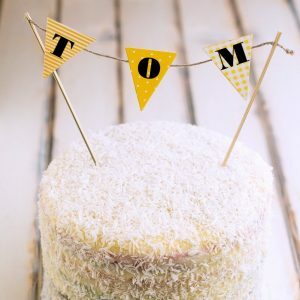 Laminating the banner will also enable you to use it year after year if you prefer not to create a new banner each time you have a party or want to wish someone happy birthday. 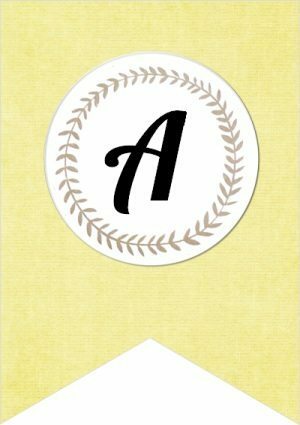 We have additional templates that can be used with our free printable banner maker. 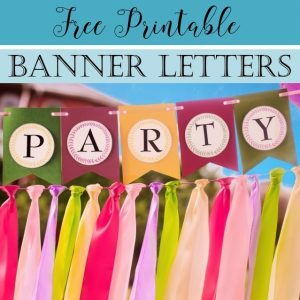 These free printable banners can be created in 6 different colors. Use our free printable banner maker to change the text and write whatever you want. Create a flag for each letter. 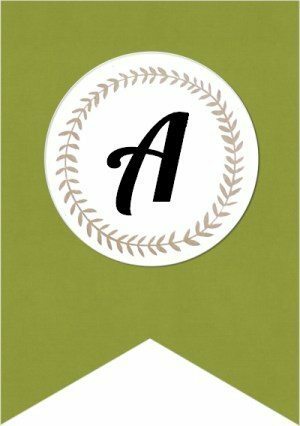 Either make all letters in the same color or mix and match according to your color scheme. Punch two holes on the top and hang with string or a long ribbon. You can also fold the top over the string instead of punching holes. Click here to open the triangle banner template with no letters. 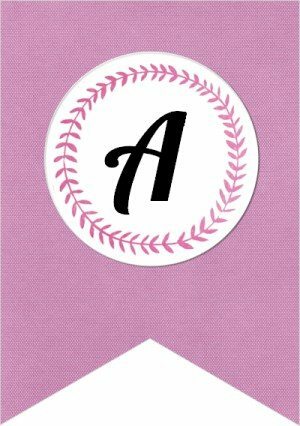 Click on the templates above to print with your custom letters. Choose the color that you would like to use depending on your color scheme. You can also mix and match. Cut out the flags that you want to use. You can use more than 3 if you prefer. Cut the string according to the size of your cake. Connect the string to the sticks. Apply hot glue and adhere the flags. Insert the cake topping into the cake. 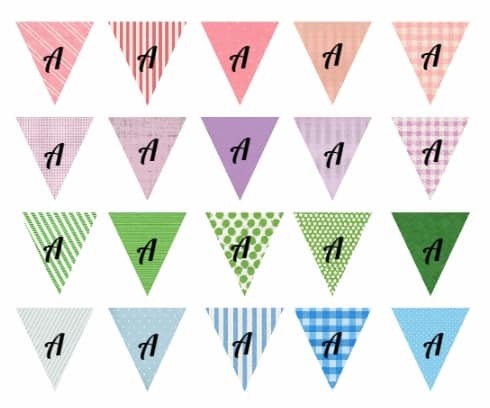 Tip: These triangle banner templates can be used for many different purposes.